Naples is one of the oldest cities in the world. 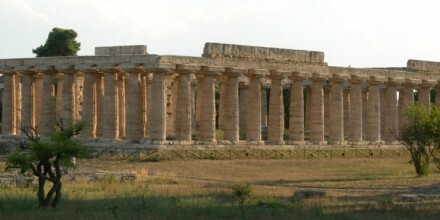 It was founded in the 8th century BC as a Greek colony. Its history has been plagued of encounters between different cultures, Greeks, Romans, Frenchs and Italians which has served to enlarge its artistic and historical heritage. This beautiful Seaside City is also famous for its beautiful architecture, impressive museums and palaces, particular music, excellent gastronomy and good shopping opportunities. 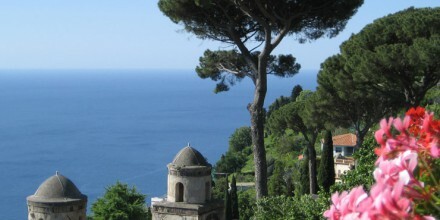 Drive up to the Posillipo Hill to enjoy a breathtaking view of the Bayof Naples. Once back in the City, start your mostly pedestrian tour visiting the RoyalPalacelocated in Piazza Plesbicito, the central and Main Squareof the City. Nearby the main square you will also find the Teatro di San Carlo, which is the most important theatre inNaples and the oldest active Opera House in the world. Just across the theatre, you may visit the famous Café ¨Gambrinus¨ also known as the bar of the artists. Walk through the historic Galleria Umberto that apart from being shopping center represents the core of the Neapolitan life. The Historic center ofNapleshas been declared UNESCO World Heritage site. Visit the Capodimonte Museum to enjoy exquisite paintings from the 13th to the 18th century including master works done by Raphael, Caravaggio, El Greco and many other famous artists. 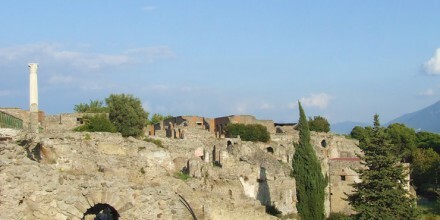 Dive into the History visiting the National Archaeology Museum where you will be able to admire many antiques from Pompeiiand Herculaneum together with significant exhibitions of the Renaissance times. Naples also has impressive churches such as the Church of Gesù Nuovo, San Lorenzo and Cathedral of San Gennaro, and important monasteries such asSanta Clarawith its beautiful majolica tile work. Opportunity of visiting ¨Naples Underground¨ is under request. Have as much time as you need for wandering through at your own peace. The guide will be at your disposal for the full day in order to suit your private tour according to your main interests and needs and to give you all the neccesary information and best suggestions about the area. Please fill the form below to contact us and receive more informations. If you prefer, you can send us an e-mail at info@guidesorrento.com. All fields marked by an asterisk (*) are mandatory. We respect the Italian law 196/2003 on privacy. The personal information which is requested is needed by the hotel for the management upon request. All the personal details are treated with the utmost confidentiality. Blue grotto, fruit and Champagne, "Mamma Mia" street stopping for picture, by chair lift reach the highest point of the island, Piazzetta, Shopping, and Relax! 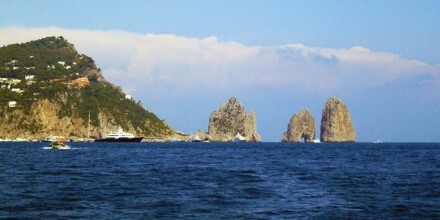 The amalfi coast is a paradise area full of cultural and historical interests. 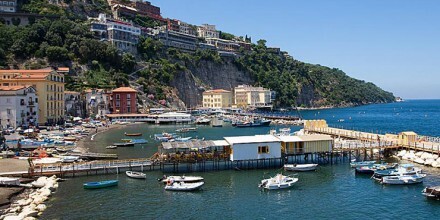 Sorrento and Positano, two clear examples of the romantic and magical essence of this area of Southern Italy. 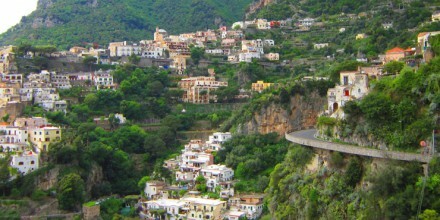 You can choose to visit Positano in the same day or to stay more time in Sorrento. 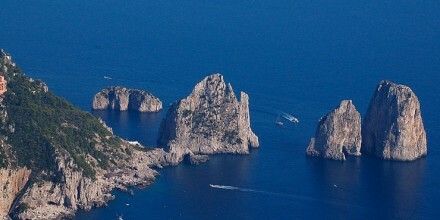 Capri is an eternal balcony overlooking the sea where the only sound you hear comes from the sea. 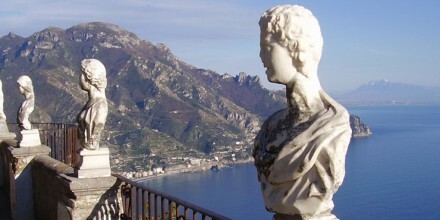 This tour combines the visit to one of the most important archaeological sites enjoying the stunning Amalfi Coast.